For each switch port at your site, you can run a small line test to gather details about the switch port. This includes the current status, if any devices are connected and the last time this port was active. Now select the switch, then switch port you would like to test. 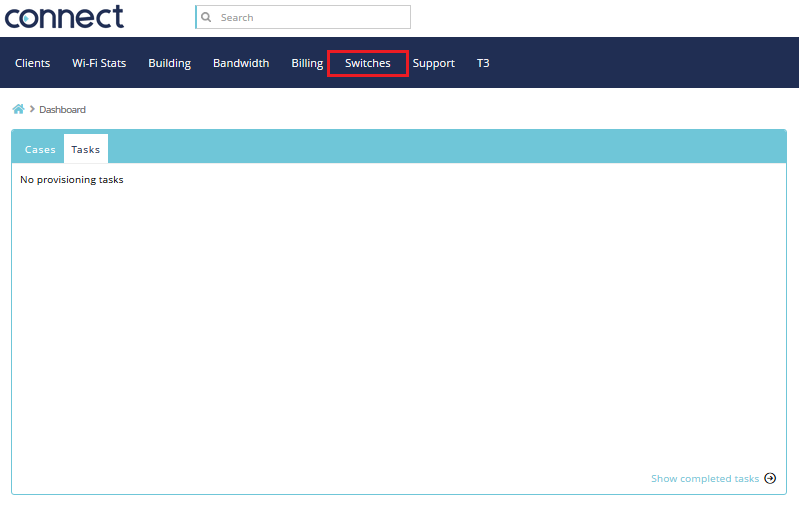 If you are not sure which switch port it is but you know the exact device that is plugged in, please see this article - Connect MAC Address Finder. Once selected, you should see an orange ring around the port you have selected as above. The above image is an example of a port that is active, with a handset connected. LLDP Neighbour IP = This will be the IP address of the phone connected. It will display the handset IP address only if a handset is connected. Last Active Time = This is the last time the switch could see a device plugged in and powered on. Note that if the port is currently Active, this time will show the last time that the port was InActive before becoming Active. 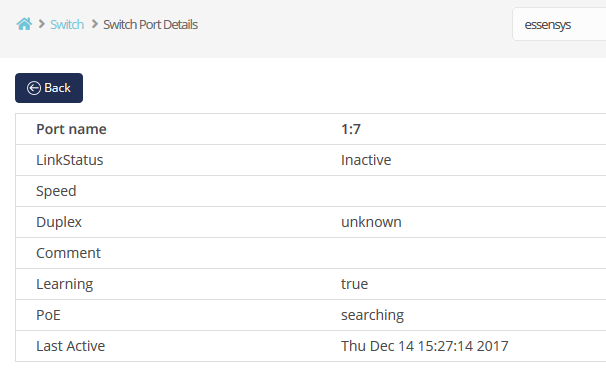 Is the port allocated on Connect? Does it have a role and a Client? Is the patching to the floor port correct? Try plugging in a device directly to the switch port instead of the floor port. Does the Switch Port Details now come up correctly?